Pudding Pralines have an unusual ingredient--vanilla pudding mix! 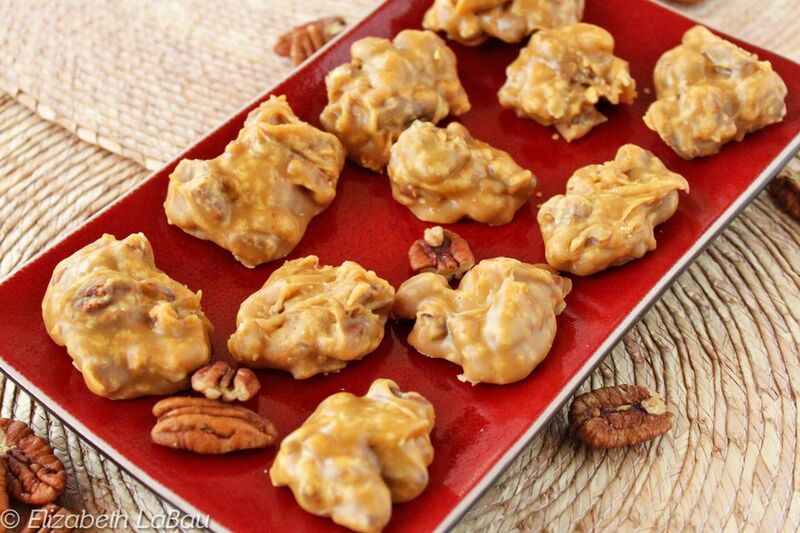 The vanilla pudding gives these traditional pecan candies a smooth, subtle vanilla taste and a slightly softer texture. This candy is also delicious when butterscotch pudding is substituted for vanilla pudding. Be sure to check out this video showing how to make pralines, which will show the basic praline-making technique. Combine the pudding mix, sugar, evaporated milk, and butter in a medium saucepan over medium heat, and stir until the sugar and butter melts. Once the sugar and butter are melted, insert a candy thermometer and cook without stirring until the thermometer reads 238 F (114 C). Once at the proper temperature, remove the saucepan from the heat and add the toasted pecans. Stir the candy with a stiff spoon until it starts to thicken and lose its gloss. As you stir, it will go from being a thin liquid to a more thick, robust candy. You will notice it start to get opaque and difficult to stir. As soon as it starts to reach this stage, immediately start scooping the pralines onto the baking sheet using a small spoon. If you wait too long, the pralines will start to set in the pan and be difficult to scoop, so it's better to err on the side of caution and start scooping early. If the pralines do start setting in the pan before you're done scooping, add a spoonful of very hot water and stir until it loosens and is scoopable again. Allow the Pudding Pralines to set at room temperature for about 30 minutes, then serve. Pudding Pralines can be stored in an airtight container at room temperature for up to a week.